Just a few years ago, quality control and production really did not mix. Harsh shop-floor conditions — particularly in industries like metalworking — meant that by technical necessity, inspections were confined to the controlled environment of the quality room. Chief reasons for this were concerns about the influence of external workshop factors, such as temperature fluctuations and vibrations, on the equipment and consequently the results obtained. The effect of dust, grease and other contaminants on carefully calibrated machines could also be costly, both in terms of results and in downtime and maintenance expenses. The problem with separating measurement operations from production is the impact on productivity. 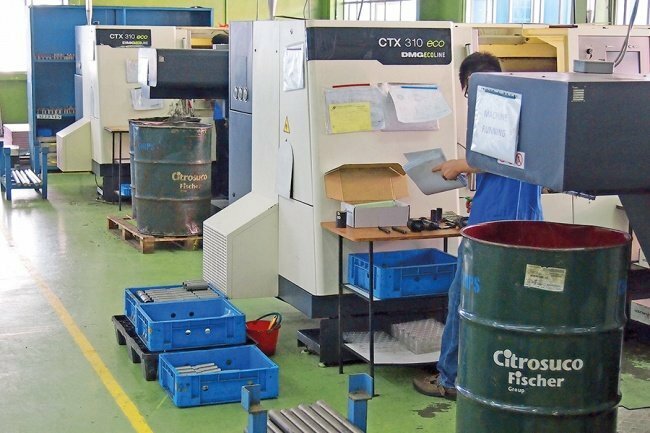 However good the metrology equipment is, the logistical effort required to move parts to a Coordinate Measuring Machine (CMM) for inspection compromises production efficiency. For simple parts that require a straightforward check at the end of the process, this might cause a bottleneck. For more complex parts with multiple process elements and sequential operations requiring more inspections, it could be a major drain on resources. In recent years, technologies are really starting to combat the challenges that traditionally kept metrology and production apart, with a new generation of shop-floor hardened CMMs gradually changing the way manufacturers think about quality checks. If measurement operations can be carried out on the shop floor, it not only saves time to maximise throughput and productivity, but also enables quicker responses to quality issues, minimising wastage and remedial time. This is increasingly possible due to advancements in the way CMMs are designed and constructed. A CMM works by defining the positions of data points on a coordinate system. These data points are located by the probe, and the coordinate system is physically realised by the machine’s linear scales. In theory, the scale readings would always perfectly match the position of the probe tip on the part. In practice, there are several factors that may contribute to a slight discrepancy between the two. As with any machinery design, the first challenge is to find the best possible combination of physical properties to minimise these discrepancies. But it is also important to acknowledge where intrinsic limitations exist in the hardware. By understanding how the machine structure behaves in relation to external factors, manufacturers can create algorithms to actively correct the results. In terms of developing physical adaptations for workshop conditions, metrology equipment manufacturers have learned several lessons from their counterparts in machine tooling. Some shop-floor CMMs now feature inverted scales to minimise substance ingress. Instead of air bearings, many use mechanical bearing systems with completely sealed roller packs and covered ways — both protecting the machine from contaminants and eliminating the need for shop air. Elastomeric isolation techniques are often used to compensate for the impact of workshop vibrations, while active dampening systems are also available for more extreme environments. Even the effects of temperature fluctuation can now be remedied through a combination of hardware and software solutions. The key to thermal compensation is material choice. While physical thermal isolation elements can be used to reduce the impact of temperature fluctuations on a CMM, most good-quality shop-floor measurement equipment uses sensors to monitor conditions when readings are being taken. Because manufacturers can now ensure that the thermal properties of the machine’s temperature sensitive components are predictable, their metrology software can mathematically correct for environmental changes. These corrections may range from simple linear adjustments due to thermal expansion in the scales, to more complex calculations for nonlinear changes in the machine structure. As a result, accurate dimensional measurement operations can be carried out in changeable workshop conditions with much greater accuracy than in the past. While technical adaptations such as these are mitigating some of the traditional challenges of shop-floor measurement operations, there is another major issue currently impacting the manufacturing industry. Perhaps the biggest challenge facing the metalworking sector, and manufacturing in general, is the shortage of skilled workers. This is not confined to the process side — the trend is just as prevalent in quality control too. 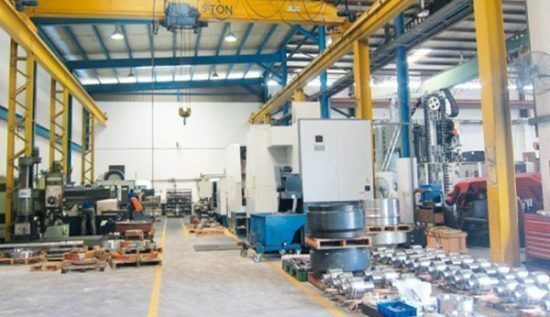 It is this growing problem that has become a key driver for the adoption of a slightly different breed of workshop CMMs. 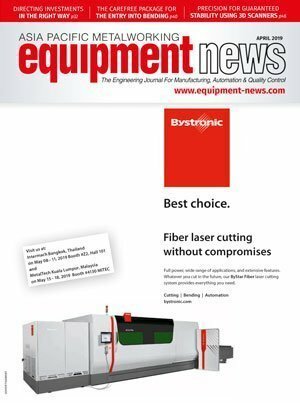 Leading manufacturers are beginning to enhance their shop-floor offerings with user-focused features to make complex tasks simpler and more accessible for inexperienced or less skilled operatives. 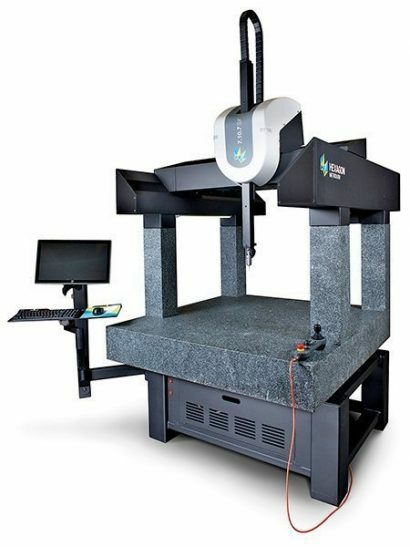 One example of this trend is the 7.10.7 SF machine from Hexagon Metrology. 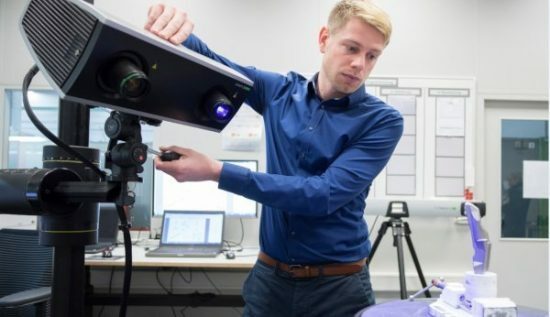 As well as a number of hardware adaptations for its intended shop-floor applications, this CMM has several seemingly small usability features that add up to a more accessible system overall. While the skill shortage will remain an industry concern for the foreseeable future, there are signs that technology is moving in the right direction to support manufacturing companies through it. Certainly, it seems that with a well-chosen and effectively utilised shop-floor CMM, the metrological inspection process can stop being a barrier to productivity, and instead become the invaluable tool for high-quality production output. 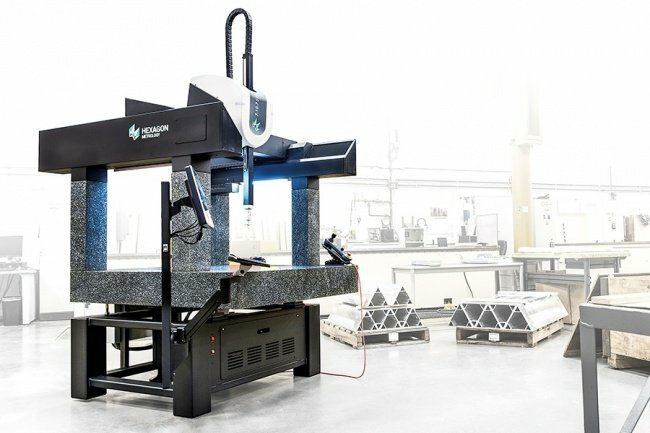 7.10.7 SF, a CMM suitable for shop-floor deployment has been developed by Hexagon Metrology. With usability features like workspace lighting and etched measurement volume indicators, they give users visual reference benefits. 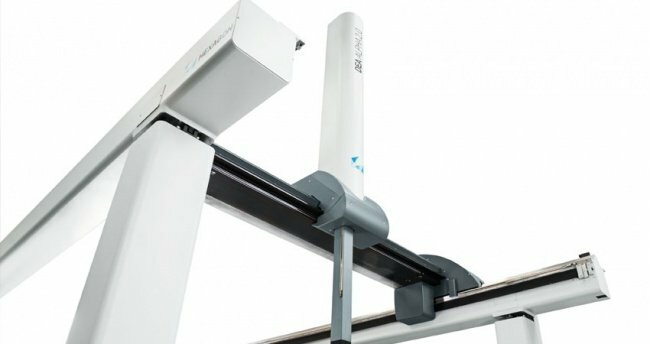 The manufacturer says the CMM can be operated through the PC-DMIS Touch interface, an accessible touchscreen version of the company’s dimensional metrology software. This feature is said to allow simpler training and ease of use. Finally, the CMM also features message lighting so that operators with several duties around the workshop can start the program and leave the CMM to complete it, knowing that they will be able to see the machine’s status from a distance. How To Decide Between Contact & Non-Contact Measurement?